Not to Store? Find out if the AC Battery is right for you. You may have heard the news — we’ve combined our modular AC Battery with software to ensure the energy your system is producing can be stored and used whenever you need it. While this is a brilliant solution for so many people who currently have a solar power system installed, it’s most beneficial to specific people and situations. Do you fit into these categories? Let’s find out. From Hawaii to Southern California, utilities are pulling away from buyback programs. Maybe you switched to solar hoping you could sell surplus energy back to your local utility, because utility companies used to buy energy all the time from customers with unused solar power. But over the past few years, that’s changed. Most people work during the day, and use more of their home’s energy consumption early mornings and at night. But your system is most efficient during the daytime. 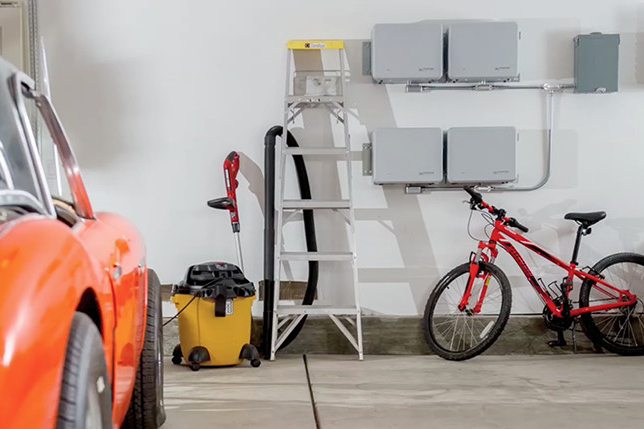 With the Enphase Storage System, you can easily harvest energy at peak production. So if you’re not around when the system is producing the most energy, saving it for when you need it most is a smart move. And quite often, that means you’ll have stored energy ready for those times when utility costs are highest, like in the afternoons. While storage systems aren’t for everyone, some customers still choose to install storage to ensure more control of where the energy their system produces actually goes. Instead of back out into the grid, it can remain stored right there at home. Even if your utility company buys back unused solar, or even if you fall outside the normal energy consumption patterns, opting for an AC Battery means you can fully utilize all the power you produce. 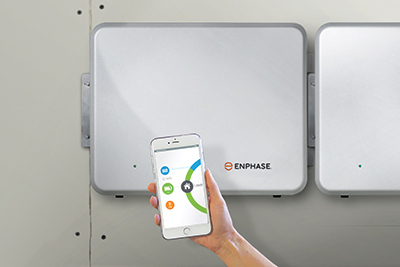 If you're ready to add the Enphase Storage System to your home, contact a local solar installer to get started. Our storage system offers the industry's lowest cost of entry and best lifetime value. Take a deeper dive to find out how our storage technology can help you make the most of your energy. Did you know that governments, utilities and other organizations offer dozens of tax breaks and other incentives to make solar and storage more affordable? See what incentives are available in your area. You don't have to take our word for it. Third-party reviews have hailed our storage system as one of "the more reliable and user-friendly battery storage systems on the market."